Your bouquet will be such a huge part of your day. Often, it can state your colour scheme, other times it’s just your favourite flowers… but whatever your bouquet is to you, you all have the same problem after the wedding. What do you do with your bouquet? Turn It Into Jewellery: there are now many companies that will turn flowers into jewellery! It’s a personal (and space saving!) way to keep your flowers. Check out Fiona for inspiration. Dry It: If you can’t decide what to do with your flowers, or want to make them less fragile or preventing wilting, then drying your flowers could be the solution! This is even something you can do at home. 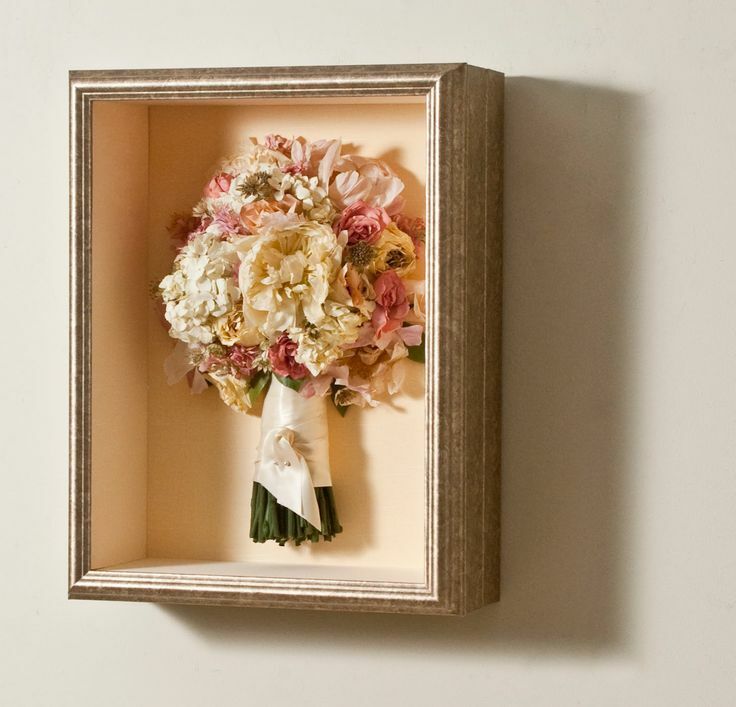 Frame It: You would need to first dry out your bouquet, like the step above, and then find a wide, large frame for your bouquet. A lovely touch to any room, and makes the bouquet easy to keep. Turn It Into scented potpourri: this idea is great if you love the smell of your bouquet. 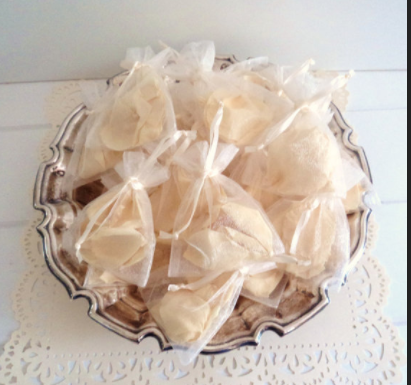 You could also make wedding keepsakes for your guests by putting small amounts of the potpourri into linen bags with you and your partners’ names on it, and the date.